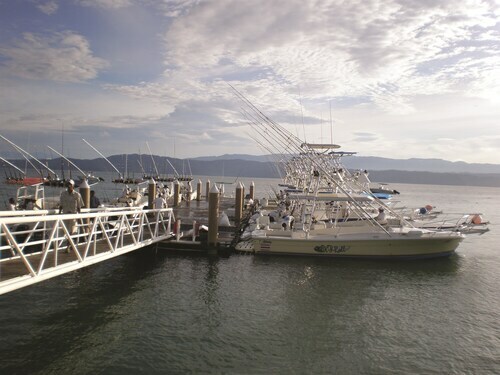 Situated on the waterfront, this hotel is within a 15-minute walk of Corcovado National Park Office and Puerto Jimenez Pier. Corcovado National Park and Pan Dulce Beach are also within 12 mi (20 km). Nestled on the beach, this Puerto Jimenez aparthotel is within a 15-minute walk of Puerto Jimenez Pier and Corcovado National Park Office. Pan Dulce Beach and Corcovado National Park are also within 12 mi (20 km). 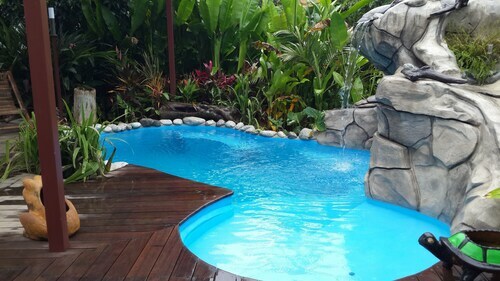 Situated on the waterfront, this spa hotel is within a 15-minute walk of Corcovado National Park Office and Puerto Jimenez Pier. Corcovado National Park and Pan Dulce Beach are also within 12 mi (20 km). 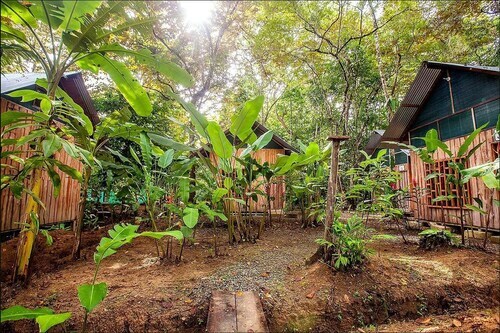 Situated in Puerto Jimenez, this hotel is within a 10-minute walk of Corcovado National Park Office and Puerto Jimenez Pier. Pan Dulce Beach is 10.8 mi (17.5 km) away. 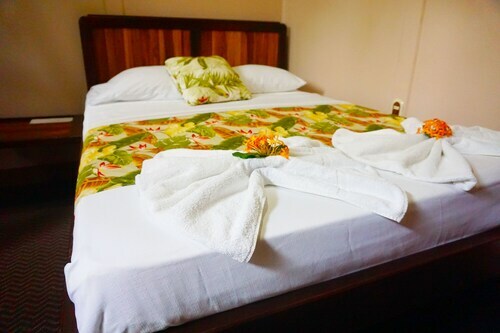 Situated near the airport, this hotel is within a 10-minute walk of Corcovado National Park Office and Puerto Jimenez Pier. Corcovado National Park and Pan Dulce Beach are also within 12 mi (20 km). 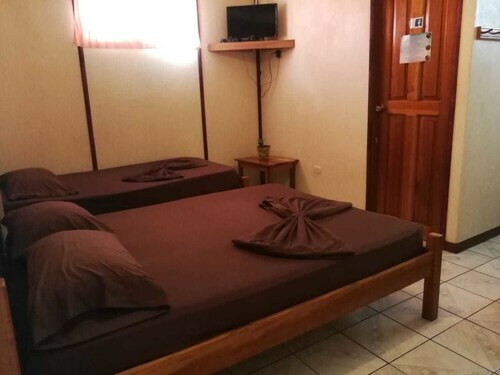 Situated in Puerto Jimenez, this hostel is within a 10-minute walk of Puerto Jimenez Pier and Corcovado National Park Office. Corcovado National Park and Pan Dulce Beach are also within 12 mi (20 km). 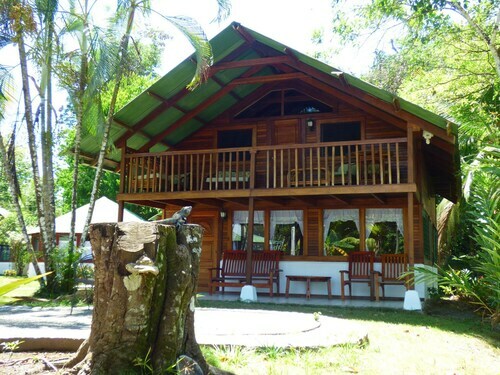 Situated in Puerto Jimenez, this lodge is within 1 mi (2 km) of Corcovado National Park Office and Puerto Jimenez Pier. Corcovado National Park and Pan Dulce Beach are also within 12 mi (20 km). Situated near the beach, this hostal is within a 10-minute walk of Puerto Jimenez Pier and Corcovado National Park Office. 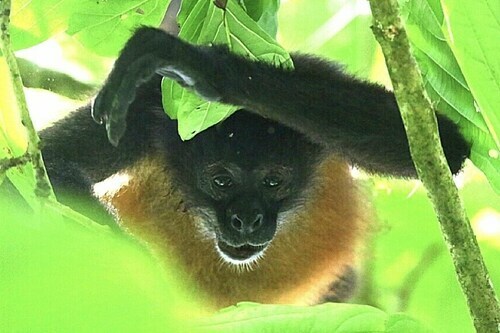 Corcovado National Park and Pan Dulce Beach are also within 12 mi (20 km).